Our winery is located in the heart of North-Western Sicily, and is deeply rooted in its lands and layers of history, emotion, and flavors. We are however a far cry stylistically from the stereotypes that pertain to this most fertile Italian island – so well known for its powerful and distinctive wines. At Vino Lauria our wines represent a family tradition that has lasted for generations interwoven with a contemporary and modern philosophy in the art of making wine. It comes from a deep and thorough knowledge of the Sicilian soils, who raised us as well as our many indigenous grapes, paired with the ability to achieve wine with great freshness, excellent acidity and lower alcohol. We are always aiming to make wines of true elegance, balance, and lightness. At the center of it all is Vito Lauria who graduated from the University of Udine with a degree in Enology and Viticulture. He has taken his education and practical experience from the north and combined it with the local know-how passed down from his grandfather to his father and then to him. Here, tradition meets a careful, organic, and conscientious wine production fully able to meet the varied and evolving international palate. Clay soils for the reds, calcareous soils for the whites, and the temperate, sweet, breezy hills around Alcamo, not far from Palermo make for an ideal terroir to grow grapes. Vino Lauria is the result of an enamored gaze upon one’s homeland and the desire to explore and reinterpret it’s richness and uniqueness. A philosophy that goes far beyond the expected to find and produce products that are innovative and genuine. The Grillo vineyard, whom gave birth to the famous Marsala, has always grown on flat, warm and placid lands around Trapani. Its recent “migration” towards Alcamo (50 kilometers west of Palermo), and its happy arrival to the hills – the heights of 600/700 meters facing north – marks a pleasing evolution of its fragrance. 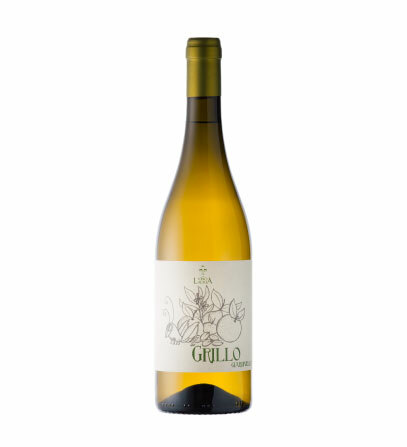 More citrusy and fresh, both on the nose and on the palate, golden with curious greenish reflections intriguing to the sight, the Grillo perfectly expresses the meeting with these new lands of Sicily bringing with it the tropical aromas of pineapple, the slightly sour zest of grapefruit, and the aromatic herb of sage and mint. 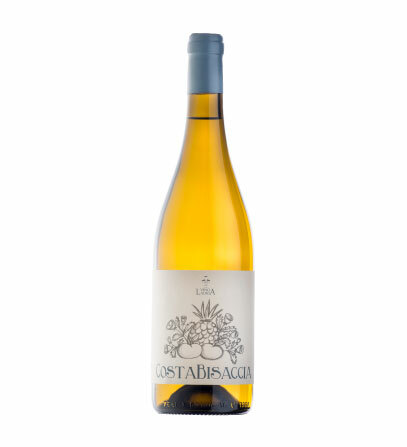 Costabisaccia is a 30-year-old vineyard exposed to the north, in the hills surrounding Grisì,situated 600 meters above sea level, it gives a wine of great balance, savory and long-lived among the best expressions of catarratto, a wine never easy to “tame”. 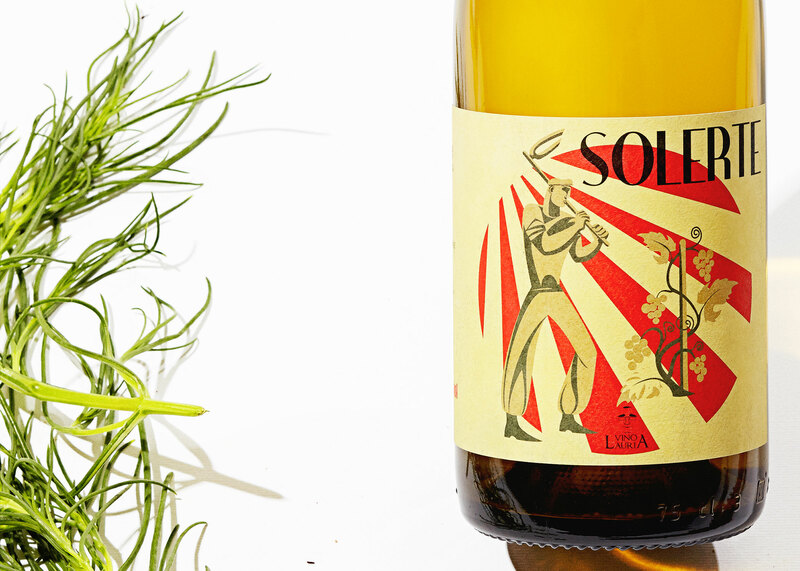 In its name is the colour of the white lands of which it “grows”, alienated and wavy stretch of calcareous soil where the Catarratto vine thrives, amongst the most typical and mainly used in Sicily. 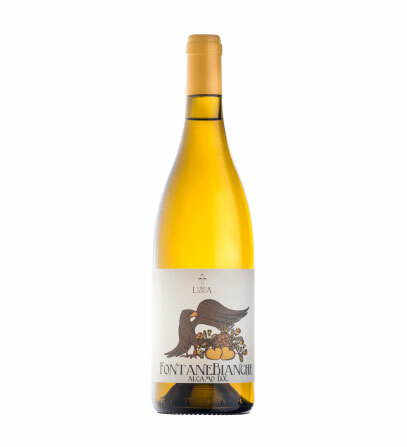 To these grapes, a touch of Zibibbo is approached with intelligence and discretion to the Fontane Bianche wine. If the Catarratto, son of poor and calcareous soils leads to a subtle wine, with a slight hint of bitter almond, the touch of Zibibbo slightly sweetens it and makes it delicate. The result is fresh and light. The making of the dry Zibibbo wine has started not too long ago and only by a few. Vito is part of the few. 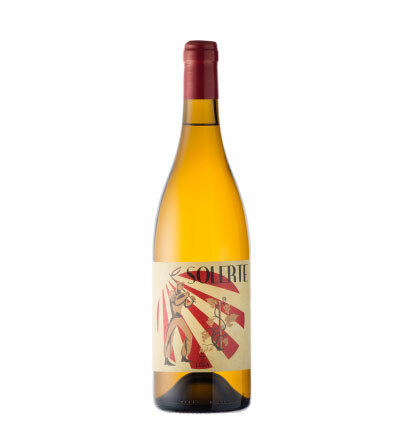 His Solerte, is a result of “elegant” grapes grown in calcareous lands around Salemi, it is a very aromatic, floral wine but never cloying. 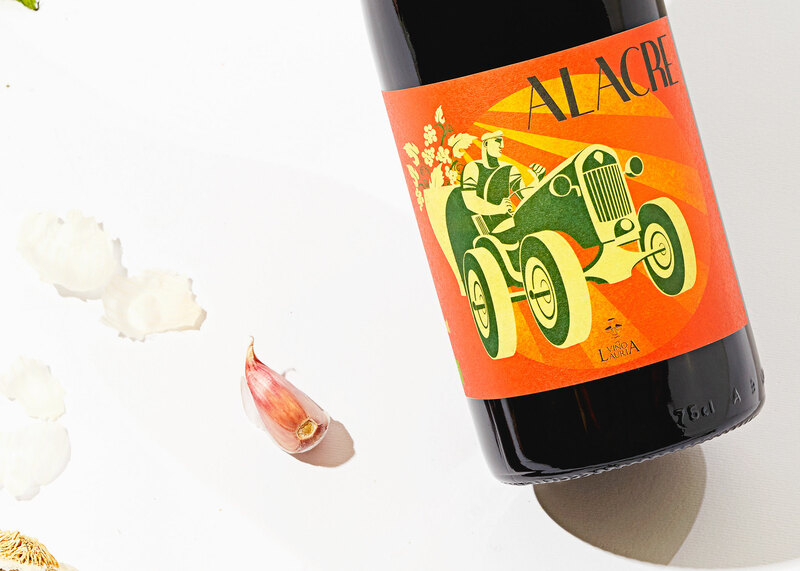 It is a natural wine, like Alacre, with which they share the fate of a curious denomination, perfectly in line with the playful tone of the image of Lauria wine. From the fantasy of the names to the design of the labels, up to the smile of Vito’s face printed on top of the capsules. 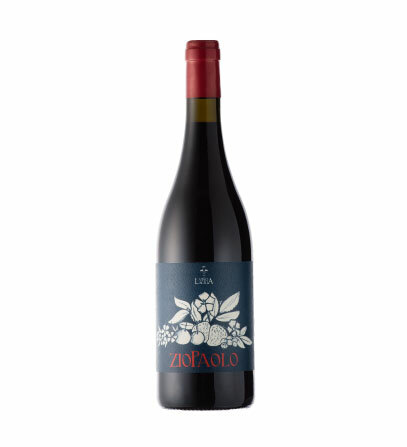 The “feminine” version of the Zio Paolo – to the point where Vito sometimes pops up with the charming idea of renaming it “Auntie”- , it comes from a white vinification of the Nero d”Avola that gives birth to the “Uncle”. “Feminine” to mean light, fresh and perfumed. 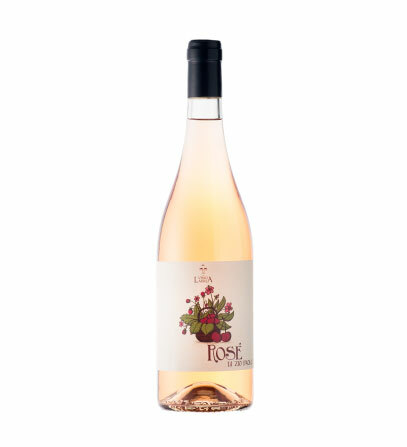 Typically pinkish color, brings to itself the delicate aromas of strawberry and cherry. It could be called the “foreigner” among the Lauria wines, even though by a bit: the only one that doesn’t “grow” around Alcamo, but nourishes of Sicilian sandy lands, not very distant from the beaches of Scoglitti, in the area of Ragusa. It’s from these “lean” lands which it owes its attractively weak color and its lightness. Of rare grapes that at one time were cultivated only to eat, known in the past as the wine of the royals, “speaks” of cherry, aromatic herbs and white pepper. Summer is its season. 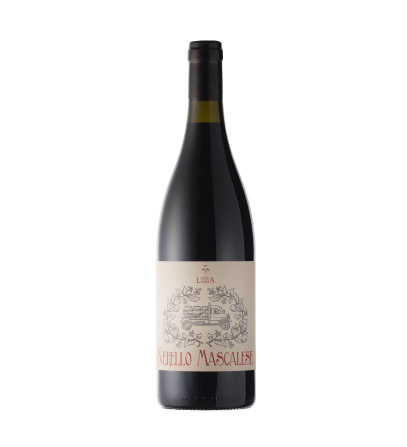 The nerello mascalese produced in the west of Sicily is always awe and curiosity, but up to 40 years ago it was the only red grape variety found in the area! Characterized by a less rough tannin than the “cousin” of Etna, it has greater freshness and aroma thanks to specific vinifications for its characteristics. Among the Lauria wines, the most structured wine is the Alacre that ages for one year in raw wooden barrels (of oak), thus gaining in maturity. 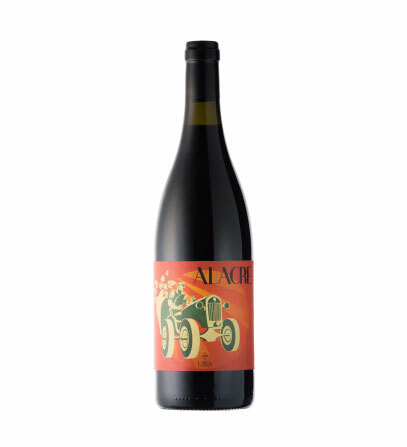 Nero d’Avola is the grape – that grows strong in soils that are very clayey – nourishing from it intensity and complexity. 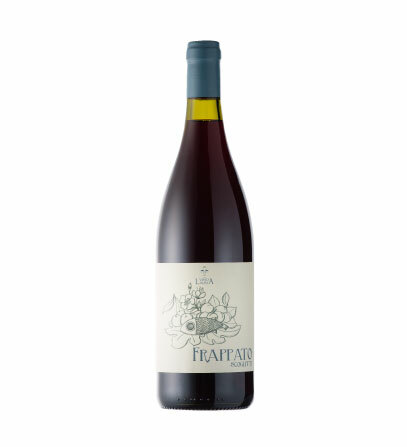 Intense red in color, it is characterized for a balanced acidity, brings pleasant “signs” of macerated fruit and it benefits, individually, from its slightly aggressive tannins. The progenitor of the Lauria wine family. 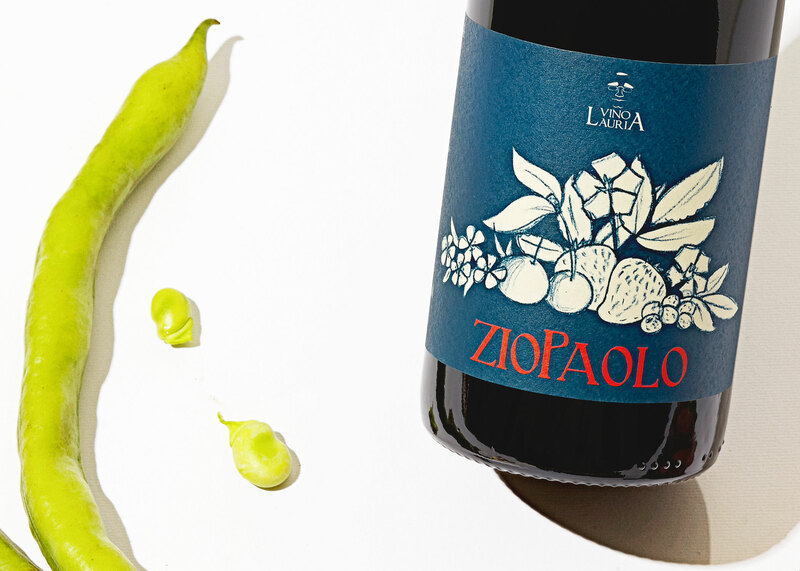 Zio Paolo is the first wine that Vito has chosen to make and it takes its curious name from the vineyard – of wide and flat land around Alcamo is at its origin. A (100%) Nero d’Avola that, unlike the Alacre, also of the same grape, is less complex and more fresh on the palate. Very fruity on the nose, bears notes of strawberry and wild berries. On Vito’s “team” of wines this is the champion. The rarest and most precious. 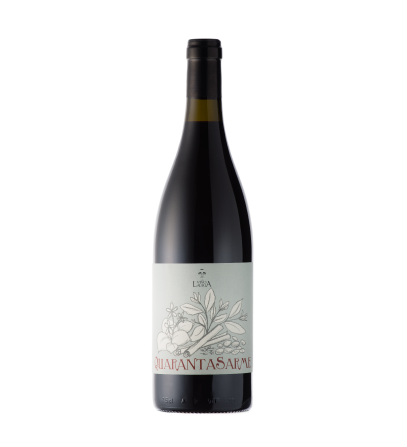 It is born from a carefully monitored “40 sarme” (about 80 acres) of vines between Alcamo and Camporeale, half Nero d’Avola and half Perricone. Vito observes the vines as they grow, each year, but only when they reach the quality hoped for he then chooses to make the wine. The result is pleasingly austere: an elegant red, for fine and mature palates. By name and by nature. It is the wine that is mostly tied to the Lauria family history and is renewed in a perpetual cycle that has lasted since 1978. It was then that Vito’s father closed it in its first barrel, the same barrel from which it draws each year for its new vinification. Full of memories and sweet aromas, the Perpetuo is a wine served at the end of a meal. 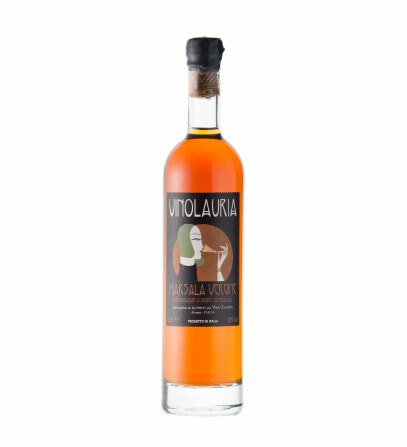 It’s amber color, a slight shade of chestnut with notes of almond and carob.